Situé à seulement 10 minutes du jardin de Nanxiang Guyi et du temple de Yunxiang, l'hôtel JJ Inns Shanghai Qingpu propose une connexion Internet gratuite, un parking privé gratuit et un café servant le petit-déjeuner tous les jours. Les chambres de l'établissement sont climatisées et équipées d'une télévision à écran plat, d'un plateau/bouilloire et d'une salle de bains privative avec une douche. Les clients pourront profiter des équipements d'affaires et de la billetterie situés à la réception ouverte 24h/24. Un service de blanchisserie est également à votre disposition. À 5 minutes à pied de l'hôtel JJ Inns Shanghai Nanxiang, vous trouverez plusieurs lignes de bus. L'aéroport international de Shanghai Hongqiao et la gare de Shanghai sont à 30 minutes de voiture. Baolong Homelike Hotel (Luojing Branch) is located in Baoshan District, 17 miles from Shanghai Train station. It offers free parking and rooms with cable TV. Luojing Branch Baolong is 26 miles from Shanghai Hongqiao International Airport. Each room is equipped with an electric teakettle and tea/coffee making facilities. All rooms come with private bathroom with amenities. Baolong Homelike Hotel (Luojing Branch) provides baggage storage at the 24-hour front desk. The hotel offers laundry services as well. A 5-minute drive from Jiading Bei Metro Station (Line 11), Brightel Jiading provides stylish air-conditioned guestrooms with a flat-screen TV and free wired internet. The on-site restaurant serves breakfast and local Chinese dishes. Parking is free. All rooms come with tea/coffee making facilities, free bottled water and a work desk. Some rooms include a sofa or personal computer. En suite bathrooms are equipped with a shower and hairdryer. Brightel Jiading is a 10-minute drive from Jiading Old Town Scenic Area and 30 km from Hongqiao International Airport. By public transport, it is a 10-minute journey from the F1 Grand Prix Circuit. Guests can book air tickets or store luggage at the 24-hour front desk. There is also a business centre and meeting rooms, as well as karaoke facilities. Jiazheng International Energy Hotel is 2 miles from Shanghai Automobile Museum and 4 miles from Shanghai International F1 Circuit. It offers 2 dining options, a spa and a KTV Club. The hotel provides free parking on site and rooms with free wired internet access. Air-conditioned guest rooms are fitted with a personal safe, tea/coffee making facilities and a fridge. Other amenities include ironing equipment, a work desk and cable TV. Guests can enjoy a massage or unwind in the hot tub. Laundry and dry cleaning services are available. The staff at the tour desk can assist with making travel arrangements. The West Restaurant serves European and Southeast Asian dishes. Drinks and light meals can be enjoyed at the lobby lounge. 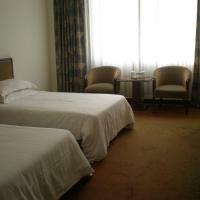 Hotel Jiazheng International Energy is 19 miles from Yangcheng Lake, Zhouzhuang Shuicheng and Shanghai Hongqiao Airport. Qiandeng Town is 9 miles away. 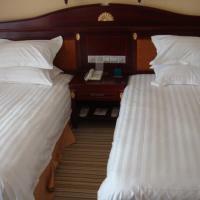 Ying Yuan Hotel is 32 km from the famous People’s Square and 30 km from Shanghai Hongqiao Airport Terminal 1. It offers an indoor pool, free parking on site and free Wi-Fi access. Air-conditioned guest rooms are fitted with a personal safe, a work desk and a flat-screen TV. The en suite bathroom comes with slippers, bathrobes and a hairdryer. Laundry and dry cleaning services are available. Guests can unwind in the sauna room or enjoy a night out at the KTV. Ying Yuan Restaurant serves Cantonese and local dishes. Japanese food can be enjoyed at the Lake of Strand Restaurant. Hotel Ying Yuan is 33 km from Hongqiao Railway Station and 38 km from Shanghai South Railway Station. Shanghai Pudong International Airport is 68 km away. 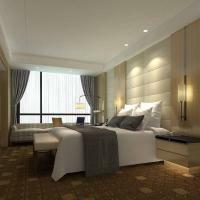 Shanghai Starway Shangdu Hotel is located within an easy drive from the Shanghai University Jiading Campus and Malu Industrial Park. It provides simple rooms with en suite bathrooms and free internet. It has a games room and a tour desk. 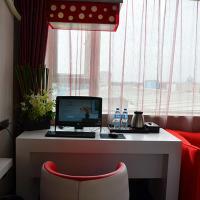 The hotel is about 65 km from Shanghai Pudong International Airport and 26 km from Hongqiao International Airport. People's Square (city centre) is about 30 km away. 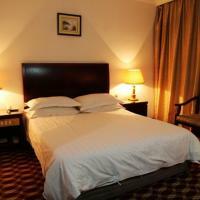 All rooms are equipped with air conditioning and heating facilities. They offer simple but comfortable rooms with LCD cable TVs, an electric kettle and tea/coffee maker. Some rooms have seating areas and bathtubs. Hotel Shanghai Starway Shangdu provides luggage storage facilities at its 24-hour front desk. Breakfast and laundry services are provided at an extra charge. Ju Yuan Hotel is located in Jiading District of Shanghai, a 2-minute drive from North Jiading Subway Station (Line 11). It offers a business centre and soundproofed accommodation with free internet access. Ju Yuan Hotel is 3 km from the Exit of G1501 Highway and 15-minute drive from F1 circuit. Hongqiao International Airport is 25 km away. Tastefully decorated, the well-appointed guestrooms feature modern interiors and warm lighting. Each unit is fitted with a cable TV, refrigerator and working desk. The white bathrooms have walk-in showers and free toiletries. Staff can assist with dry cleaning and laundry services. For convenience, fax, printing and photocopying facilities are available. The fine café serves a variety of Chinese and international dishes. Chinese-style breakfast is provided. Shangda Panyuan Hotel is located in Shanghai University Jiading Campus. 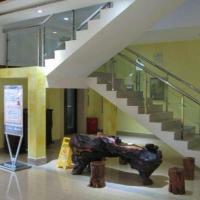 It offers buffet breakfast and affordable rooms with free wired internet. A variety of dining and shopping options can be found within walking distance of the hotel. Panyuan Hotel is a 5-minute walk from Jiading Confucius Temple and a 3-minute walk from Oriental Shopping Centre. People’s Square in downtown Shanghai is a 40-minute drive away. Clean and comfortable, all air-conditioned rooms are fitted with an electric kettle, a seating area and a cable TV. En suite bathrooms have a bathtub, bathrobes and shower facilities. Hairdryers and free toiletries are also included. Guests can request for laundry and ironing services. The 24-hour front desk offers luggage storage for guests’ convenience. On-site parking is free. In Jiading District, Shanghai Xietong Hotel is a 10-minute drive from Shanghai Auto Museum and Anting Golf Club. It features relaxing massage treatments and free Wi-Fi throughout the entire property. The tour desk helps guests organize excursions to tourist attractions. Bathed in warm light, all air-conditioned rooms come equipped with an electric teakettle, a fan and a cable TV. A fridge and a writing desk are also included. Private bathrooms have free toiletries and shower facilities. 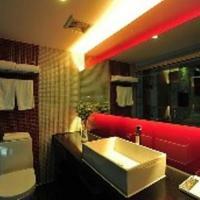 Xietong Hotel is a 40-minute drive from People’s Square in central Shanghai. Pudong International Airport is 47 miles away. 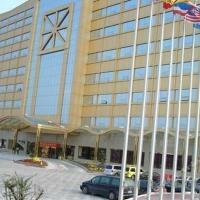 The hotel provides several meeting rooms and a 24-hour front desk with fax and photocopying services. On-site parking is free. 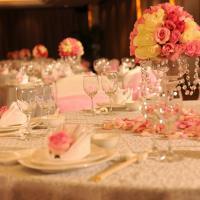 Guests can enjoy Shanghai and Szechuan cuisine at Xietong Garden, the hotel’s on-site restaurant. Surrounded by charming Chinese-style gardens, Shanghai Jiading Villa Garden Hotel is housed in historic buildings built in 1940s. It features a fitness center, free Wi-Fi in all areas and classy rooms with oriental-inspired themes. Located along Zhouqiao Old Street, Jiading Villa Garden Hotel is a 15-minute drive from Guyi Garden, a 30-minute drive from Hongqiao International Airport and a 30-minute drive from People’s Square in downtown Shanghai. The elegant rooms at this celebrated hotel have a cozy sitting area, wood furniture and parquet floors. All of them come equipped with a flat-screen TV with cable channels, free toiletries and shower facilities. Guests can relax on the grounds, rent a car to explore the surrounding areas, or use the computers at the business center for free. Simple breakfast can be enjoyed at the hotel’s restaurant for guest convenience. A 5-minute walk from Nan Yuan Park, Bo Lai Te Fashion Hotel (Jia Ding Branch) is a boutique-style hotel with modern rooms and free Wi-Fi. 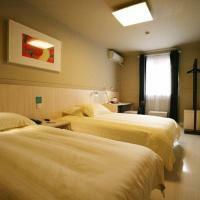 Its facilities include a spa and on-site Chinese restaurant. Bo Lai Te Fashion Hotel is a 10-minute walk to Jiading Confucius Temple and a 15-minute walk to Jiading Musuem. It takes 20 minutes on foot to reach Jiading Shopping Mall. Shanghai Hongqiao International Airport is a 25-minute drive away while Shanghai Railway Station is a 40-minute drive from the hotel. The air-conditioned rooms feature a flat-screen cable TV, electric kettle and sofa. Private bathroom includes a shower, hairdryer and free toiletries. 2 free bottles of water are provided daily. Select rooms come with a personal computer. Luggage storage facilities are provided at the 24-hour reception. Dry cleaning services are available at an added cost. A simple buffet breakfast is served at the hotel’s restaurant. Universal Ever-Rich Hotel is in Jiading District, an 8-minute drive from Shanghai International Circuit. It features compact and clean rooms with free wired internet. On-site parking is free. Ever-Rich Hotel is a 15-minute drive from Confucius Temple and a 20-minute drive from Gucun Park. Shanghai Train Station is a 25-minute drive away and Shanghai Hongqiao Airport is a 30-minute drive away. The hotel features a fitness center, a game room and karaoke facilities. Guests can also play ping-pong, relax in the sauna, or enjoy a soothing massage treatment. There is a terrace and a nightclub on site where guests can relax. All rooms are decorated in warm colors and equipped with a minibar, a safe and a flat-screen TV. Free toiletries, shower facilities and bathrobes are available in the bathroom. A fine selection of Chinese, Japanese, Western and Taiwan cuisine can be enjoyed at the hotel’s 4 restaurants. YTS New Beacon International Hotel is in Jiading District, a 10-minute walk from West Jiading metro station. It features upscale accommodations with free wired internet. On-site parking is free. YTS New Beacon Hotel is a 15-minute drive from Shanghai International Circuit and a 10-minute drive from Jiading Confucius Temple. Gucun Park is a 30-minute drive away. To rejuvenate, guests can enjoy a spa treatment, use the extensive fitness center, or rent a car to explore the surroundings. 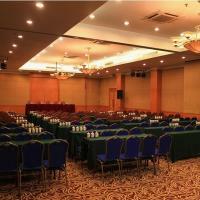 Meeting facilities, business center and currency exchange are also available. All rooms come equipped with a flat-screen TV, a minibar and a safe which can fit a laptop. Private bathrooms include bathrobes, free toiletries, bathtub and shower facilities. Easier Café serves a buffet breakfast and lunch and dinner from the menu, and Fairyland Chinese Restaurant has Chinese cuisine on its menu.